Comp Ex 2009, an IT expo in my HomeTown, Well known for hardware deals in Nagpur. Its the Best time when we grab the cheapest dealers. This Comp EX was little different, first time two Web Development companies Infodreamz and JustWebsite entered the Nagpur Expo market. Its really good to see growing Web Market in My hometown. 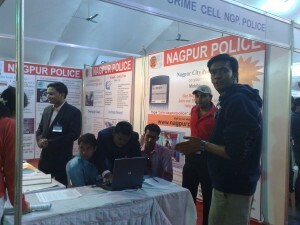 Apart from all a very Good Initiative by Nagpur Police. They had a stall, informing peoples regarding Cyber Security !! Yep, For the first time- I saw Web development stalls there and had really a different experience with one of them. I was just reading about them on the banner and lady prompted me “Its no study and course and not for students” and after knowing that even I am a webmaster; she was surprised !!! But, I am glad to see traces of development in Nagpur.